The T68 Wasp is ready to engage and eliminate your opponents in the tightest spaces and the fiercest close quarters battle. It is the lightest and most compact primary paintball marker you can take into the action...so leave your sidearm in its holster and proceed confidently with the T68 Wasp. Players everywhere are discovering the thrill of magazine-fed paintball. Our standard T68 magazines are spring-powered and hold twenty rounds at the ready, swap out just like magazines in duty-issue gear, and give you the benefits of a force-feed hopper...without having a hopper on your marker at all. 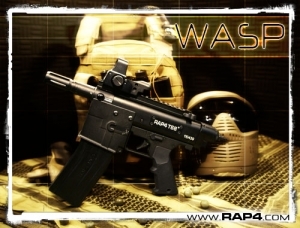 To ensure that you get your shots on target fast, the T68 Wasp comes with a Dagger Reflex Sight. Use it to make every shot count as you rack up one-shot-eliminations in game after game. 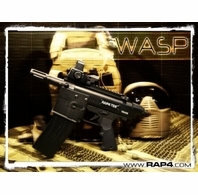 When you need the lightest, most maneuverable mag-fed marker available, you need the T68 Wasp.